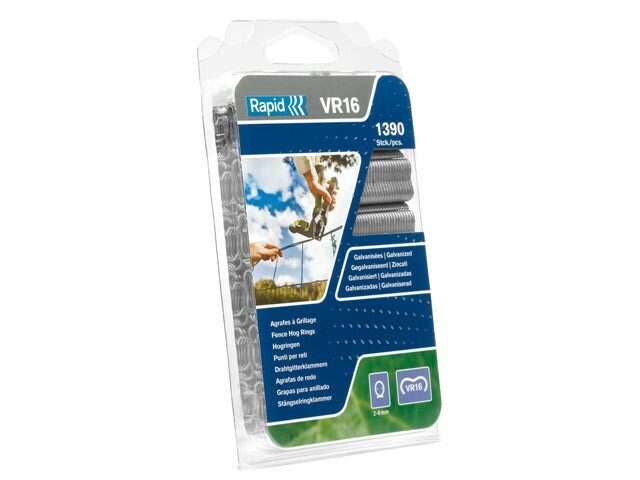 Rapid VR16 hog rings are designed for use with the Rapid FP20 and FP216 Fence Pliers. 1.3mm diameter steel. Fix to wire from 2 to 8mm diameter. Please check your fence pliers for compatible sizes. Available in galvanised or green coated steel.